Ines joined Projects Abroad in April 2007. She lives in Cordoba where she is studying tourism. She likes meeting people from all over the world and loves traveling. In her free time she enjoys being with friends, having barbecues with her family, reading novels and watching movies. Claudia joined Projects Abroad in October 2013. 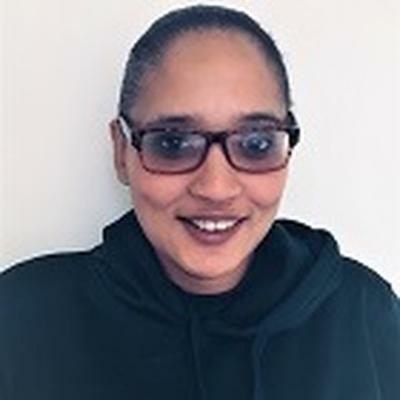 She was born and raised in Cape Town, where she graduated at Cape Peninsula University of Technology with a National Diploma in Tourism Management. She is passionate about working with and meeting different people from different cultures. In her spare time she enjoys the outdoors, traveling domestically and exploring new places. Carmen has worked with Projects Abroad since 2003 and took over as the Country Director in June 2011. Originally from La Paz, Carmen moved to Cochabamba with her parents and brothers in 1998. Carmen is a graduate of the Linguistics Department of UMSS and enjoys spending her free time reading and with her son, Adrian. Ximena began working with Projects Abroad in 2004, assisting in everything imaginable! Born in Cochabamba, Ximena has also lived in Argentina. She has completed her studies at the UMSS, also in Linguistics and Communications. Ximena thoroughly enjoys listening to her "walkman" while riding buses out to supervise volunteers at their placement! She also enjoys photography and traveling. Freddy was born in Potosi. He has worked supporting social projects involving abandoned children or children with special needs since 2003. He is a specialist in Braille and sign language. Freddy loves to play sports such as soccer, basketball and volleyball. He is a gifted musician and plays the guitar, charango and flute. He joined Projects Abroad in May 2008 as Care Supervisor and is always full of exciting new ideas for volunteers. Rocio has been working with Projects Abroad since May 2010. She is a qualified nurse and enjoys her profession very much. Rocio has worked at one of Projects Abroad's Care placements, María Cristina, for over a year. She previously worked as a nurse in various health centers so she has plenty of experience in the field. Rocio has two children and enjoys sporting activities as well as volunteering her time to help others. Born in South Africa and raised in Cyprus, Christos obtained his degree in International Relations from the University of Essex. In late 2013, he moved to South Africa and joined Projects Abroad in May 2014 as the Volunteer Advisor for China, Moldova and Sri Lanka. He has traveled through most of Europe and certain parts of Africa and Asia. He enjoys football, writing and has been involved in volunteering for over four years. OL Sokethya joined Projects Abroad in December 2014 as Khmer Project Coordinator. Previously, he has worked for the United Peace Corps in Cambodia and Australia Volunteer International. He has a Bachelor’s degree in English and is currently busy completing his MBA. In his free time, he enjoys traveling, experiencing new cultures and playing sports. Viyana was born in Phnom Penh and has a bachelor’s degree in marketing. Before joining Projects Abroad in 2018, she worked at a humanitarian NGO. The aim of this NGO was to support the world's poorest in leading a dignified life regardless of race, faith, political or religious affiliation. Viyana loves working with people, experiencing new cultures and travelling in her free time. Lucy joined the Projects Abroad team in March 2015. Previously, Lucy worked as a website designer. She is comfortable working in an English speaking environment and loves the diversity of different cultures. In her spare time, Lucy enjoys swimming, running and traveling. Jessica joined Projects Abroad in September 2015 as a volunteer advisor for Ecuador, Mexico and Nepal. She was born in Xalapa, Mexico and now lives in Guadalajara. She studied psychology. In her free time she enjoys traveling and hopes to one day travel all around the world, meeting new people and experiencing other cultures. William was born in the Galapagos on the island of San Cristobal. He has worked with volunteers for more than 15 years and has worked for various organizations, such as the Galapagos National Park. Besides being the Director for Projects Abroad Ecuador, he is also the town’s councilor for San Cristobal Municipality and has spent many years improving the local education system through government and community programs. William enjoys swimming and hiking in his spare time. Lily worked for Projects Abroad in Fiji during the summer of 2011 before taking up the role full time in August 2012. She looks after the Animal Care Projects in Nadi, designs the High School Special program and customizes projects for special groups. She is also responsible for making sure volunteer de-briefing forms are completed and works closely with volunteers. Lily loves to socialize and therefore enjoys the company of others. Rebecca is based in our Head Office in Accra. She is responsible for all the accounts and administrative work generated by our Ghana program. She grew up in Accra and holds a degree in Accounting and Management from a local university in Cape Coast. She used to work with an NGO as Human Resource Manger before joining Projects Abroad in January 2007. Ernest works with the Human Rights Office as an Assistant Program Coordinator. He supervises the work of volunteers on Human Rights projects. Ernest has a Bachelor of Education Degree in Population Studies from the University of Cape Coast, Ghana. Born and raised in a small town of central Italy, Mirko studied HR training and development at the University of Rome. He traveled extensively and lived in the US, Mexico, Holland, Cyprus and South Africa. He joined Projects Abroad in March 2014 as Volunteer Advisor for Nepal and all Italian volunteers. Besides traveling, Mirko enjoys sport, nature and outdoor activities, photography and writing. His personal life motto is "dreams are made to be realized". Mariam was born in Palestine and she lived in the Middle East for 19 years. She now lives and works in Italy. She has been with Projects Abroad since September 2017, working closely with our volunteers. Mariam enjoys meeting new people and learning more about their cultures and countries. She spends her free time practising her cooking, or watching programmes about the diverse cultures of the world. Sanikia joined Projects Abroad in January 2012. She holds a Bachelor of Science Degree in International Relations and French. She worked as an English Teaching Assistant in France and as a Lecturer of Communication Studies in Jamaica before joining the team. Sanikia is outgoing; she enjoys meeting new people, traveling and is very passionate about youth development and education. Carol joined Projects Abroad in May 2013 as the Medical Coordinator for Kenya. She studied medical laboratory science and in her free time she enjoys dancing, traveling and making new friends. Dennis joined Projects Abroad in March 2015. He is responsible for overseeing the Care and Teaching projects in Nanyuki, Kenya. Dennis is an outdoor person and loves seeing new things! His hobbies include playing soccer, badminton and table tennis. He also loves reading and traveling, especially on safari! Charles joined Projects Abroad in May 2014, bringing in vast knowledge and over 15 years of experience in conservation. He has previously worked with international organization including the World Wide Fund for Nature. In his free time he loves listening to music and bird watching. Rafidimalala was born in Antananarivo, Madagascar. He has been working with Projects Abroad on the Care and Teaching projects since November 2015. He later moved to Conservation as he was a tourist guide for the National Park in Andasibe for 10 years. He is a specialist in wildlife, biodiversity, lemurs, birds, indigenous plants, amphibians and reptiles. He likes to joke around and enjoys learning about other cultures around the world. Oko is both the Director of our projects in Mongolia and the Director of Finance. Oko has spent time working in Korea and the UK. He now enjoys living back in Ulaanbaatar with his wife and three children. Having studied for his MBA in Korea, he returned home to Mongolia with his Korean wife, Sang Em. He enjoys singing and is famed for his karaoke skills. He was 5 times gold medalist in athletics when he was a high school student. Undarmaa joined the Projects Abroad team in April 2014. Previously, Undarmaa worked and studied in the United States. She is our Operations Manager and oversees all of our volunteer placements in Mongolia. Her hobbies include reading books and traveling. She also loves sports, especially basketball and martial arts. Arinzul or Zulaa, as she likes to be known, has been working at Projects Abroad since March 2011. Zulaa visits volunteers at work and at their host families. Zulaa enjoys reading, organizing volunteer work, teaching and spending time with her son. Saad was born in Fes and grew up in Rabat. He has previously worked as a clinical psychologist for the American Peace Corps in Morocco and was also an Exchange Coordinator for the U.S. State Department where he organised cultural exchanges between American and Moroccan youth. Saad has taught Arabic and English at various International Schools and Embassies in Morocco. Soufiane joined Projects Abroad in February 2013. He previously worked at an American NGO specialising in English education. He has worked in various roles at Projects Abroad, including Desk Officer, Communications Officer and Project Manager in Cambodia. Soufiane grew up in the Rabat region and always enjoys introducing visitors to beautiful Morocco. Soufiane speaks Arabic, Tamazight, French, English and is focused on making sure volunteers have a fun, safe and productive time in Rabat. Adil joined Projects Abroad in November 2009. He has previously worked in an international organisation in the EFL department and was also an Exchange Coordinator for a cultural program. Adil was born and brought up in Salé – on the other side of the river from Rabat. Kenneth is from Cebu and has been involved in development work for 7 years. He has previously volunteered with VSO and was a youth ambassador for the 37th South East Asia Youth Program in 2010. Before joining Projects Abroad in 2013, he was a managing director of a training center in Cebu and a project officer for VSO Bahaginan. In his free time he enjoys taking part in Rotary International activities and he likes taking photos and watching movies. Alexandra graduated from the Faculty of Literature and Languages in 2008. She loves travel, meeting people from different cultures and learning new languages. She discovered theater life in high school when she took part in a local English drama group. Her role as drama supervisor is to guide and coordinate both the volunteers and the high school students in all the drama activities. She also organises social events for all volunteers in Romania and coordinates work for our journalism volunteers. Habib, who is known as Boms, comes from Dakar and has a BA in Computer Sciences. He likes organizing cultural events, going to the beach and playing the Djembé (African drum). He hopes to welcome you all in Senegal very soon and show you the best of the Senegalese 'Teranga' (hospitality). Harry is originally from the UK and has been working in various roles within Projects Abroad for several years, including spending a year in Ghana. He has also worked in several other Projects Abroad destinations, including the Botswana and Nepal. Harry is now the Country Director of South Africa. Sherwin was born and raised in Cape Town. He completed his LLB law degree at the University of the Western Cape. Whilst at university, he did an international human rights course with Howard University (USA) which is where his passion for human rights commenced. In his free time, Sherwin likes socializing and meeting new people. He also enjoys playing squash, sand-boarding and going to the gym. Judy-Rose was born and raised in Cape Town. She enjoys the outdoor life and regularly goes to the West Coast to break away from the hectic city life. She has been working in the hospitality industry for more than 4 years, but her passion has always been to make a difference in people’s lives. In high school she was part of her school’s community outreach program and she has done volunteer work for the Art of Living Foundation. Helena has spent over 30 years on and off in the wilderness. She is an expert tracker, has crossed the Kalahari Desert on her own and lived with Bushmen for a year. She is also a pilot, a biologist specializing in animal behavior (for which she obtained her PhD), and she single-handedly navigated her way through the vast Okavango Delta in a leaking boat and survived! For 10 years she was the Operations Director of The Center for Rehabilitation of Wildlife (CROW) in Durban, South Africa. Sophie was born and raised in Geneva, Switzerland. She has a degree in conservation, and is passionate about all things wild. She worked for Projects Abroad in Nepal before joining the Southern Africa Conservation project in Botswana as a conservation manager, in May 2014. She also jointly manages Motswiri Camp. Sophie takes care of all scheduling and logistics for volunteers, and looks after all the data that is captured for future use. She ensures that the camp is running smoothly and that everyone has the best experience when they visit. Jens was born in Germany and is a qualified electrician and software developer. He is multi-talented and can fix anything, build anything, install solar power, and write computer systems. He joined Sophie on the Southern Africa Conservation project as camp and maintenance manager in July 2014, and jointly manages Motswiri Camp with her. His job is to ensure everything runs smoothly. Glory took over as Tanzania Country Director in October 2012. She previously worked as Desk Officer and Program Coordinator after joining Projects Abroad in June 2010. She enjoys introducing volunteers to Tanzania. Glory has previously spent a year in Germany as a volunteer and has a good command of the language. She is best known around the office for her professional attire, ever-changing hairdos, and love of chocolate. Jackie joined Projects Abroad in 2012 as a coordinator for the High School Special program. She now helps in many roles including that of Office Assistant, Social Manager and Volunteer Coordinator for the Human Rights Project. Jackie is the person to ask if you want to know where to shop or where to go in Arusha or Zanzibar. When she's not traveling to Nairobi where she spent her childhood, you can find Jackie singing at her local church. Irene joined Projects Abroad in January 2016. She is in charge of the Human Rights project. She has a Law degree and prior experience working with Community based organizations. She was most recently a legal officer at a firm. Robert first joined Projects Abroad in February 2011 as an Assistant Manager. He was born and raised in an area of Tanzania called Engikaret in Longido District. He holds a Bachelor degree in Geography & Environmental Studies from the University of Dar es Salaam. Before joining Projects Abroad he spent four months running an HIV/Aids research project in the Maasai community. He likes traveling, swimming, reading and playing volleyball. Elizabeth joined Projects Abroad in November 2012 as the Volunteer Coordinator for the Micro-finance Project. She previously worked as the Branch Manager at BRAC Foundation, a micro-finance institution. Elizabeth is interested in learning about different cultures, reading and traveling. Andrea was born in Italy and lived in Abu Dhabi during his childhood. He studied Environmental Biology and Marine Ecosystems at the University of Trieste. After obtaining his Master's degree, he started traveling and working in countries such as Brazil, Greece and the Maldives. He first experienced volunteering at an NGO in Cambodia, which got him involved in marine biology field work. He also loves to dive and has obtained his dive instructor certificate. Kevin was born in Lomé, the capital of Togo. After acquiring his degree in law from the University of Lomé, he furthered his education and studied English at the East Anglia University in Cambridge. Kevin is passionate about giving back and has spent many hours volunteering on youth development programmes. He has had the opportunity to travel to many places around the world including the UK, America, China, Germany, France, Spain, South Africa, Kenya and Italy, but Togo will always remain his home. He joined Projects Abroad in October 2016 and says that anyone visiting Togo should have an open mind and be flexible. In his spare time, Kevin enjoys reading and playing sports, especially football. Mana was born in Lomé and although she has lived in Togo her whole life, she has explored Ghana on several occasions. She studied general linguistics at the University of Lomé and volunteers regularly at her local church. Mana joined Projects Abroad in August 2017 as she loves learning about different cultures from around the world. For volunteers visiting Togo, she recommends travelling light, and being humble and flexible. During her free time, Mana enjoys reading, listening to music and spending time with her friends. Emmanuel is a retired medical assistant who joined Projects Abroad in 2011. He worked with the Togolese Health Service for 30 years occupying several technical and administrative posts. He enjoys his current role as it gives him the opportunity to continue indirectly with his work, stay in contact with his colleagues and be a part of positive changes in the system. Emmanuel is interested in soccer, boxing and politics. Phuong Linh was born in Hanoi. Prior to joining Projects Abroad she worked for a Canadian NGO. She graduated from the Academy of Finance in Hanoi and gained an MBA from the United Business Institute in Brussels. In her free time she enjoys traveling, learning new things and going to yoga classes. Diep joined Projects Abroad Vietnam in October 2012. She studied International Studies where she found her interest in social work. She loves music, traveling and learning about different cultures.